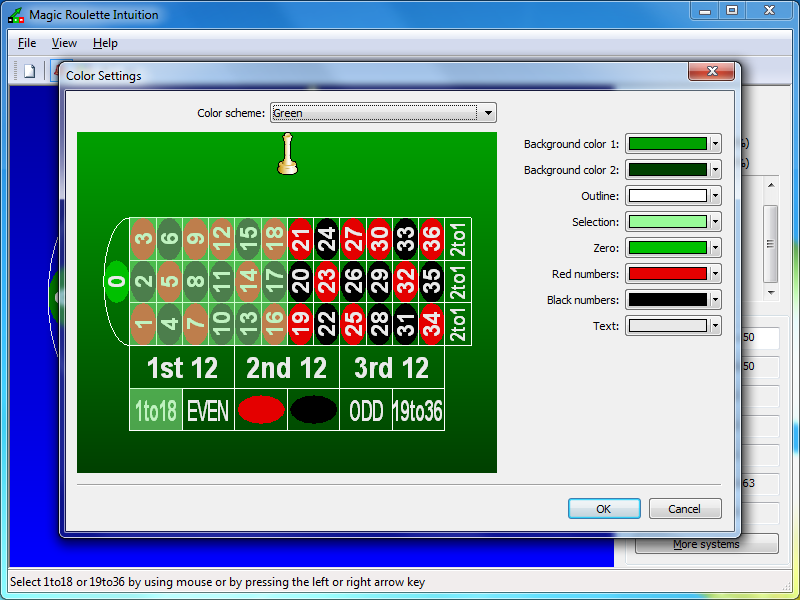 Magic Roulette Intuition training software is designed to develop intuition to win at the roulette wheel. 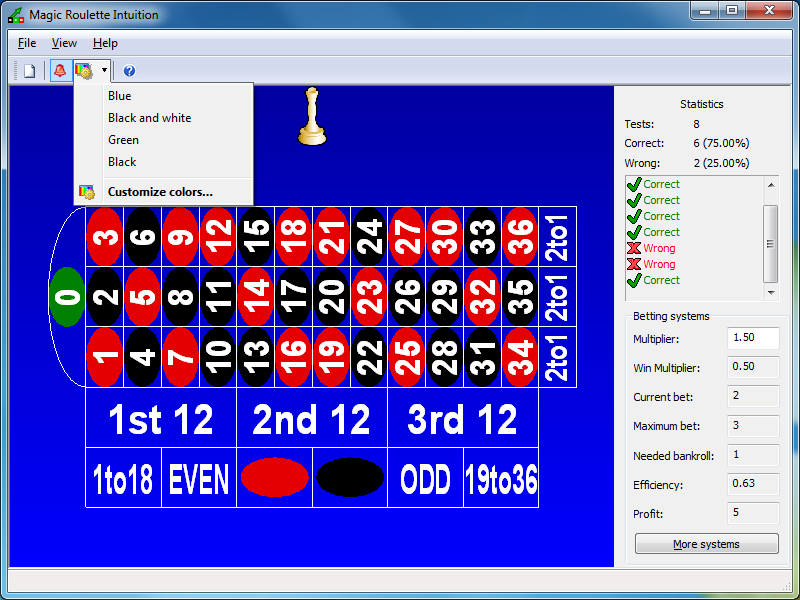 If you train on a daily basis, you will learn to correctly deduce winning chances, dozens and columns. With time, as you will see, you will make more correct decisions than incorrect ones. And their number will keep growing. 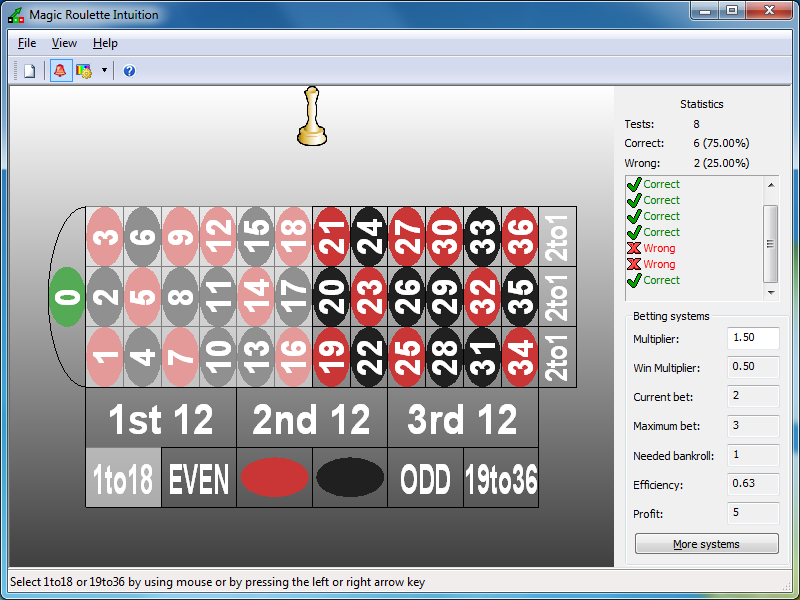 After one or two months, the amount of correct answers can reach 80 to 90%. True, different people show very different results. Some perform better, some do worse. Those most persistent can by dint of systematic training achieve the 100% level of successful results. And such an effect is no rarity. 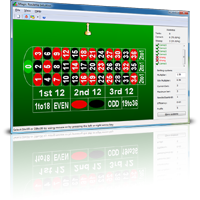 The software enables you to develop intuition to beat the roulette table, namely to learn to deduce winning numbers during tests. 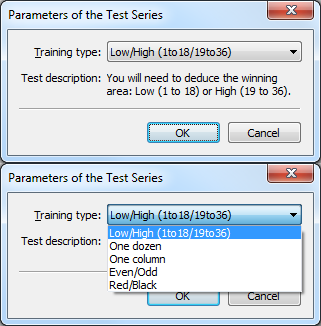 Currently you can train deducing even chances (1 to 18 and 19 to 36, Red and Black, Even and Odd), Dozens, Columns. 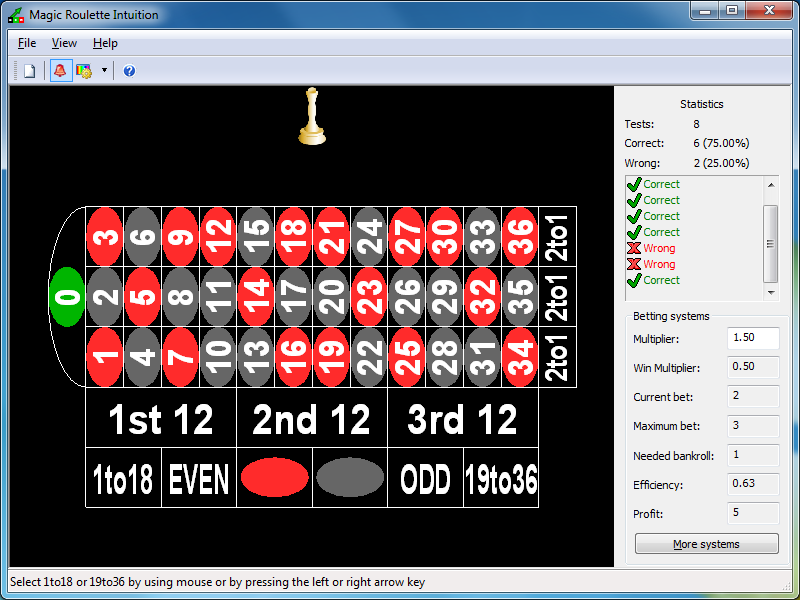 There are a number of different ways to arrive at the right intuition-based answer. One of them is as follows. Close your eyes and relax. Breathe deeply and slowly. Try to see the correct answer in your mind’s eye. Then open your eyes, stay relaxed, and choose the right chance. Yes, it actually is, in the teeth of the 2.7% house edge (because of the Zero). That has been proved experimentally using trainers, and later on real and electronic roulettes. Incredible as it may sound, that is true. 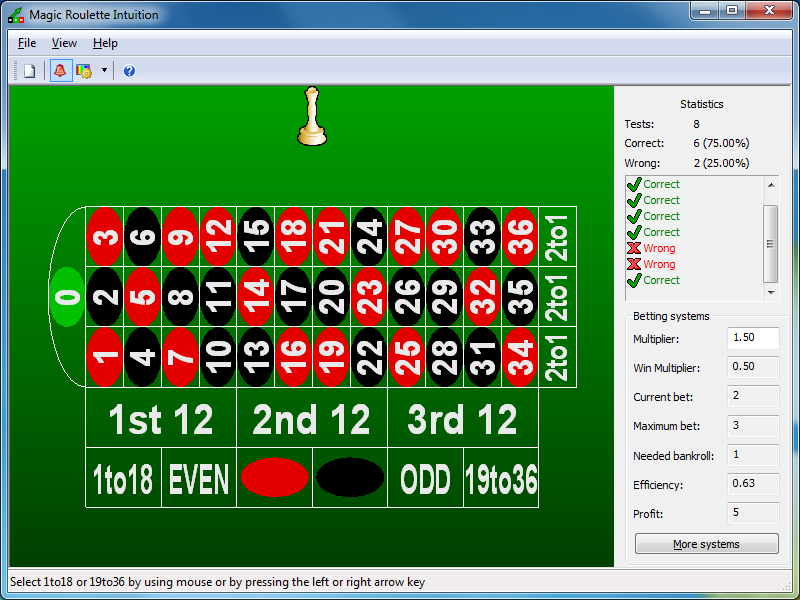 Read more: How to win at Roulette. 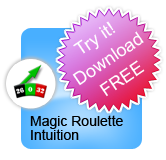 You can Buy Magic Roulette Intuition or visit FAQ section. 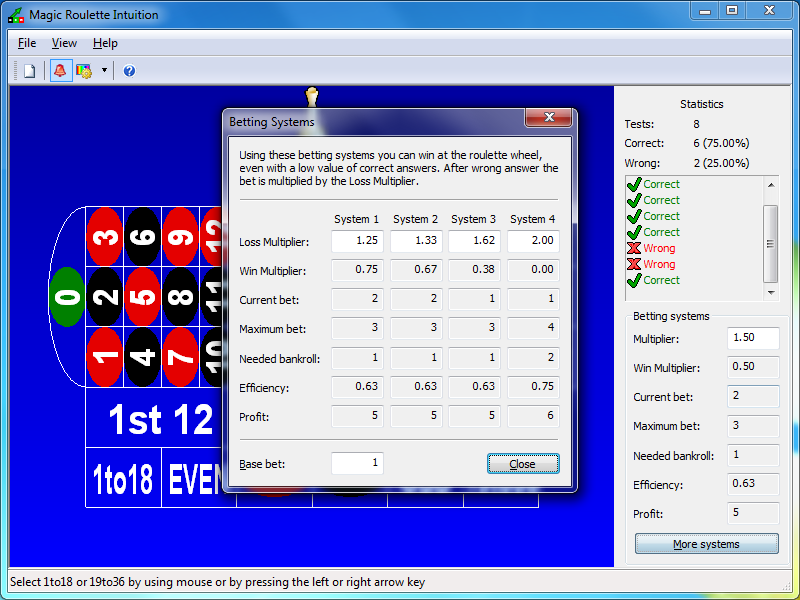 After you purchase the software, you will be emailed a registration key that removes all evaluation version limitations. All Transactions are completed via Encrypted Secure Channel. We use the PayPro Global, Inc., the independent provider of E-commerce services to ensure the safe and secure processing of orders. Please prevent emails from magicintuition.com and payproglobal.com from falling into the 'junk' or 'bulk' folder, by adding these domains into the exception rules.